If you’re looking to combine traditional styling with everyday practicality, this is the whirlpool/air bath for you. Its oval basin adds refined style, while its rectangular deck ensures it will fit standard alcoves, even in confined bathroom spaces. Besides style, the oval interior provides more room at 28.5 inches across. The design also allows a showerhead to be installed over it with no problem. And, its streamlined design and size make it easy to clean. Treat yourself to the rejuvenating benefits of an all-over body massage with this tub’s seven strategically placed pulsating spa jets. Adjust them as needed for a customized experience. 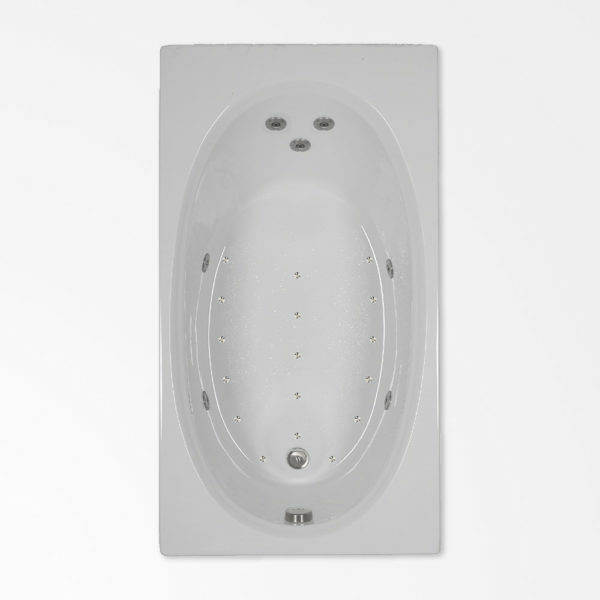 Add to that the restorative power of the heated air bubbles gently caressing your body, and you have the ultimate bathing experience. Get more bang for your buck with the 60 x 32 OV Combination Tub.